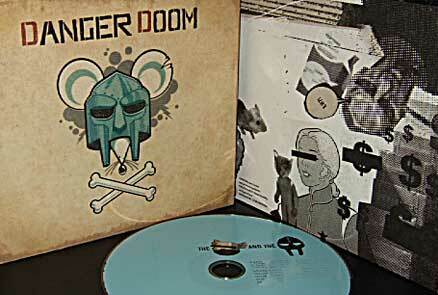 Danger Doom: The Mouse and the Mask is a great concept album but to sum it up that way would not do it justice. Danger Doom is one part Danger Mouse, one part MF Doom and a dash of Adult Swim. Add water and mix well and you have the album, the Mouse and the Mask. MF Doom always has rhymes to compliment any beat but Danger makes Doom’s words sound harmonious. Danger’s sound is a soothing motion of sounds blended with intense and atmospheric rhythms. What does all that mean, I don’t know but he sure makes it sound good. Backing up Danger Doom on this journey is the Aqua Teen Hunger Force. All the characters deliver some of their funniest moments from Master Shake, Carl and all of the others. Space Ghost even makes a cameo on the album while Danger Doom tries to take over his talk show. The Mouse and the Mask is already one of my favorite albums and will be on my playlist for awhile. Fans of MF Doom’s other projects will definitely enjoy this outing with Danger Mouse and is a great introduce to anyone just discovering the Mouse and the Mask.